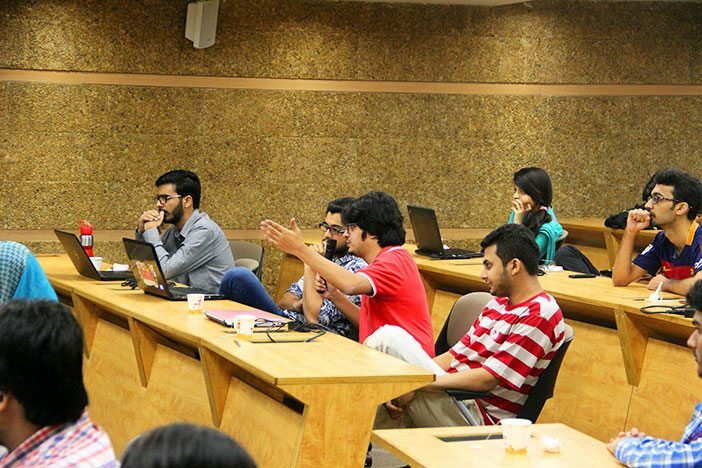 KARACHI/CALIFORNIA: Students from Habib University and Pitzer College, USA, held a joint dialogue in real time in a session titled “Fundamentalism: The Old and the New” on September 28, 2016. The video conference, part of Habib University’s Global Classroom Connect initiative, is one of the many activities included in Habib University’s partnership agreement with Pitzer College. The conference connected Habib University’s “Hikma II” class (taught by Dr. Nauman Naqvi) and Pitzer College’s “Islam: Beyond Ideological Narratives” class taught by Dr. Ahmed Alwishah. Pakistani food was served to students attending at Pitzer College prior to the conference itself. 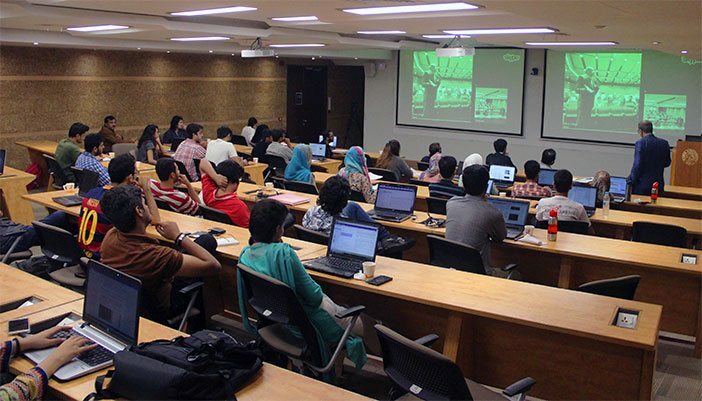 Pitzer had opened the class to the Claremont community in a bid to encourage students to engage in meaningful conversations on religion and modernity with their counterparts in Pakistan. The topic for the session, ‘Does Islam Need Reformation?’, was discussed and debated at length by the participating students from both institutions in an interactive, lively and intellectually stimulating session. The discussion allowed Habib students to understand the perspectives of students across the world, fostered dialogue, and provided a one-of-its-kind learning experience that cut across borders. Pitzer and Habib students are expected to hold more virtual conferences in the future as they work together on projects and attend guest lectures and discussions hosted at each other’s institutions using technology resources. Habib University’s broader agreement with Pitzer College also features an exchange program for Habib and Pitzer students, with Pitzer and Habib maintaining a balanced exchange of students with a maximum of three students per semester hosted at each institution.